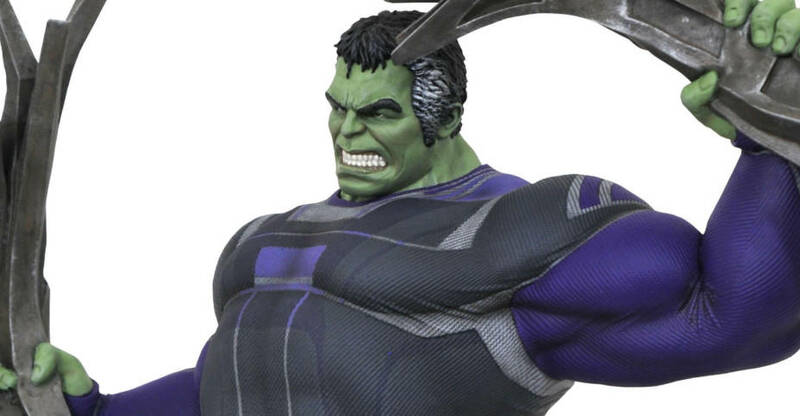 Iron Studios has opened up pre-orders for the next two Avengers: Endgame Statues. 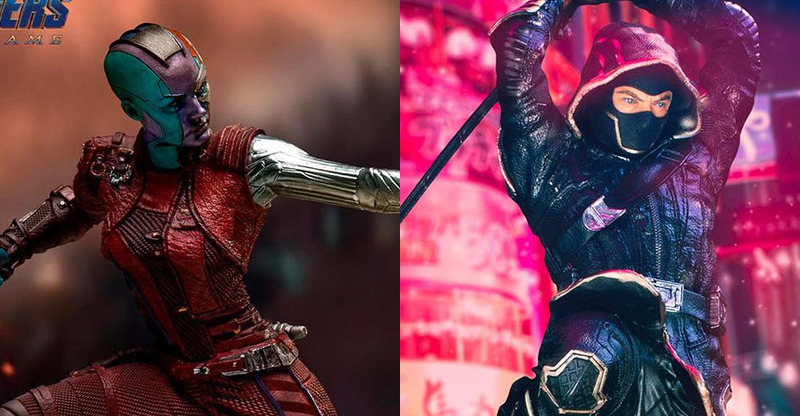 They have posted product pages for their Ronin 1/10 Scale Battle Diorama Series Statue, and their Nebula 1/10 Scale Battle Diorama Series Statue. They join the previously revealed Thanos Statue in this BDS Series. They are priced at $89.9 each, and should be released between May and June. Pre-order at the links below, and see photos after the jump. 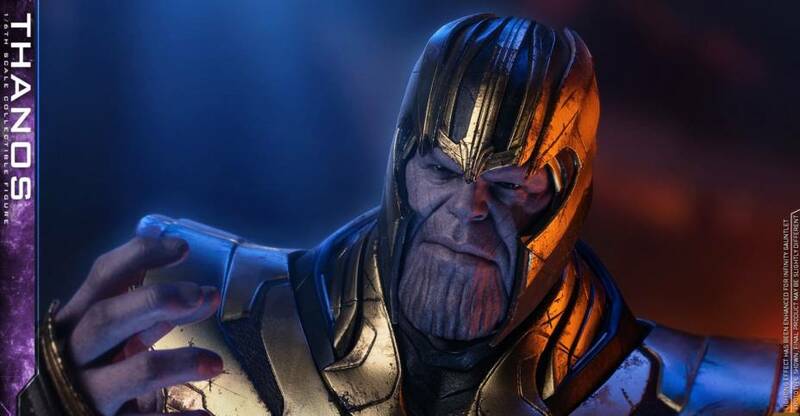 Iron Studios has opened up pre-order for their new Avengers: Endgame – Thanos 1/10 Battle Diorama Series Art Scale Statue. They will have a standard release, and a deluxe release. With the deluxe version, you get a light up LED Infinity Gauntlet, swap out left arms, and interchangeable portraits. 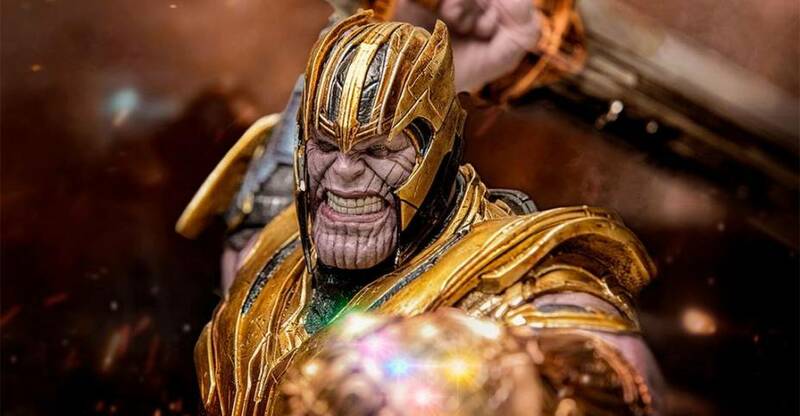 The statue stands over 14″ tall, with Thanos atop a themed base, and a diecast metal double bladed sword in hand. The statue is scheduled for release between October 2019 and January 2020. Check out photos, details, and pre-order links after the jump. 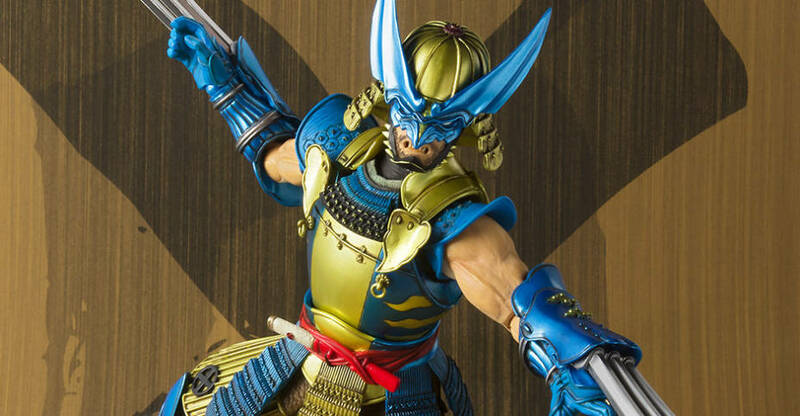 Tamashii Nations has posted up the product page for their upcoming Marvel Manga Realization Outlaw Wolverine Figure. The figure joins previous figures such as Deadpool, War Machine, Captain America, Black Suit Spider-Man and more. We got a look at Wolverine back at Toy Fair 2019. The figure stands a little over 7″ tall. Wolverine includes a set of interchangeable hands, and four swap out claw pieces. Pre-orders will open on Monday, April 8th in Japan. The Outlaw Wolverine Figure is priced at 9,504 Yen (about $85 USD). The figure is due for release in august. Check out the official photos after the jump. 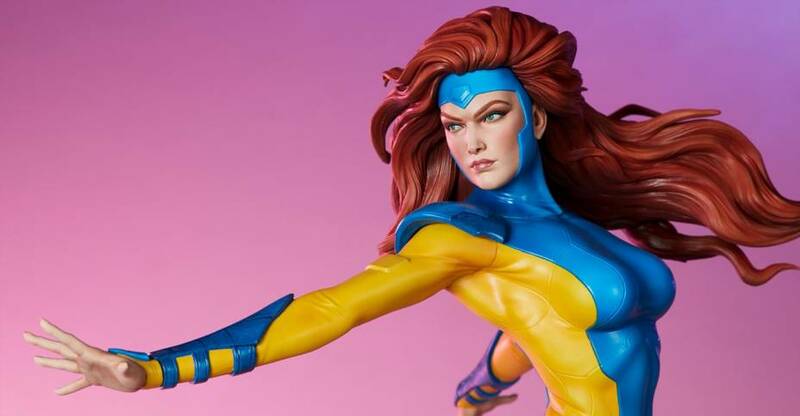 A 1990’s X-Men comic style Jean Grey Statue is coming from Sideshow Collectibles. 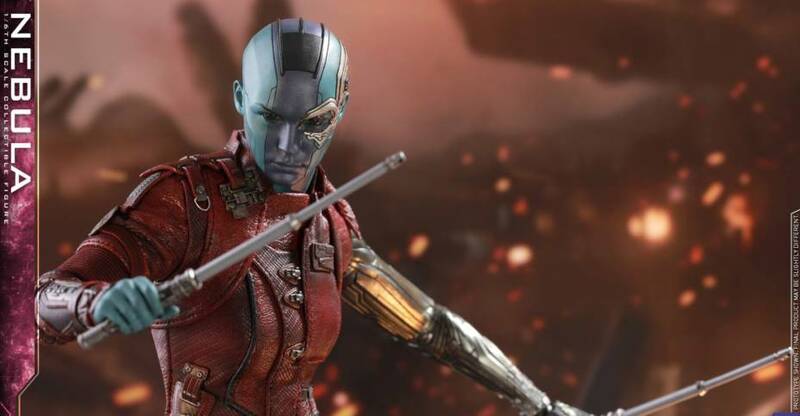 She is part of their X-Men Premium Format Figure Collection, and joins previously announced characters such as Juggernaut, X-23, Magneto, Psylocke and more. The Jean Grey Statue includes a snow covered base, featuring a manifestation of her telekinetic powers. The statue stands at 21″ tall. 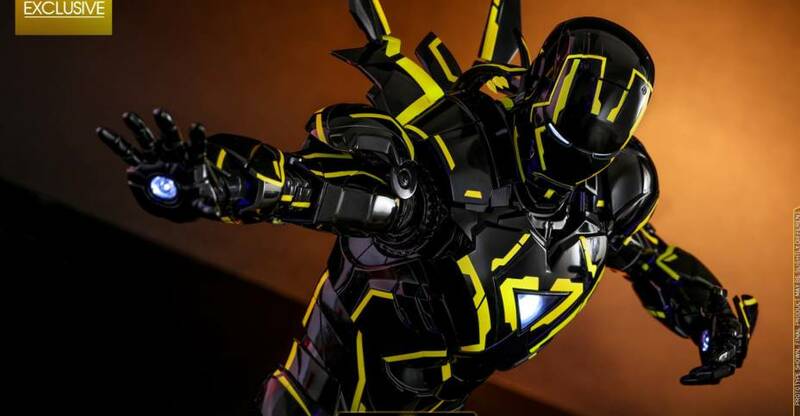 Sideshow will be offering a standard and an exclusive version. The exclusive includes an interchangeable portrait, and a second set of hands. Pre-orders are set to go live on Thursday, April 4. Look for the listing to go up between Noon and 3:00 PM Pacific Time. The standard Collector Edition will be priced at $565. The Sideshow Exclusive version will be priced at $585. Check out some additional details and the new photos after the jump. A slew of new LEGO Sets for Avengers: Endgame have officially been revealed. You may have seen a few of these images floating around, and we’re happy to share the hi-res images, courtesy of LEGO. Even better news, these sets are available now! The sets feature builds for Captain America’s Bike, a new Quinjet, a War Machine Buster, an Iron Man Hall of Armor, and a battle at the Avengers Compound! They range in price from $19.99 t0 $99.99. Check out the list below, and see full details and plenty of photos after the jump. While the set may not be 100% indicative of what happens in the film, some of the characters or set images may be considered SPOILERS. So proceed with caution if you want to remain completely spoiler free. Pre-orders go live beginning today in Japan. After the jump, you can find our breakdown of each release and new photos. The Minimates set will also include swap out head sculpts for Ant-Man, Scott Lang, Clint Barton, and Nebula. You can see all of the new photos after the jump.